Dogs need to chew when they are puppies and are teething. Also puppies tend to chew because they are experimenting to find out what tastes and feels good. Many times as a Trainer, I find that owners give their dogs toys to chew on. Owners, please be very careful that they are not ingesting the toy. I believe that natural chewing items are better for your dogs. Raw marrow bones, deer and elk antlers, bully sticks, dehydrated duck and chicken feet and great natural chewing items. These will aid in keeping your dogs teeth clean and their gums healthy. PLEASE NOTE: Do not give your dog rawhide! 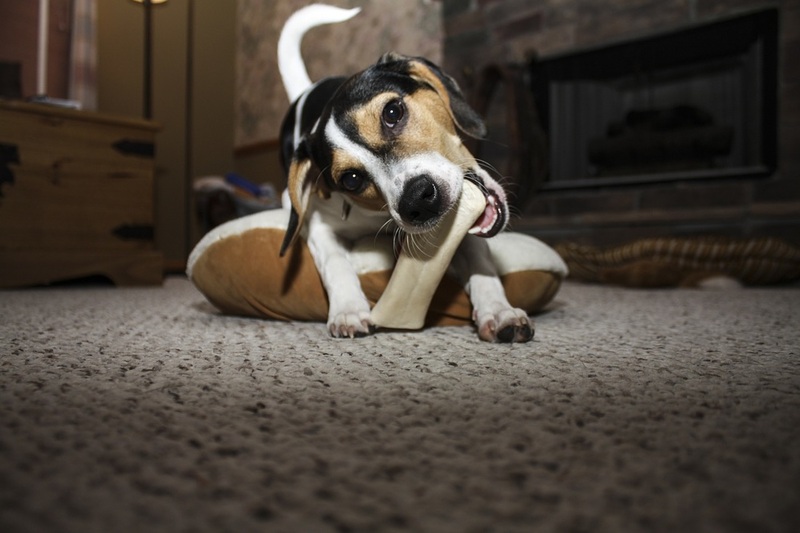 Rawhide is the no.1 choking hazard in the U.S for dogs! Check out www.bonebons.com for the duck and chicken feet.